Ludovic Morlot is the scheduled conductor for a change. The Chicago Symphony found itself in a bind last November. Riccardo Muti, the illustrious Italian conductor, was to lead the orchestra for the first time in 25 years, but he was sick and unable to conduct the concerts. So the CSO turned to the much lesser-known French conductor Ludovic Morlot, 32, as a last-minute stand-in. Morlot had conducted a well-received contemporary-music concert on the CSO’s MusicNOW series the previous season, but hadn’t yet faced the entire orchestra. The boyish-looking Morlot turned in a lucid and cleanly played version of Tchaikovsky’s Fourth Symphony and Schumann’s Manfred Overture. Morlot’s walks up to the podium looked to be on the tentative side, but he was unflappable once he started up the music. As the classical world seems to leave no stone unturned to find the next generation of conductors, he appeared to be someone worth keeping both eyes on. The Civic Orchestra will look to him Monday 5. So, who is this guy? This is Morlot’s third and final season as assistant conductor at the Boston Symphony Orchestra, where he led a few of his own concerts. Before he bailed out the CSO, he’d done similar favors for the Baltimore Symphony and New York Philharmonic, which went over well in the reviews. The CSO players weren’t terribly thrilled with his rehearsal technique, but he didn’t let it stand in the way of an impressive performance. Unlike the 25-year-old Venezuelan Gustavo Dudamel, an enthusiastic conductor whose brazen podium appearances have left audiences and critics agog, and who will conduct the CSO in April, Morlot has taken his time building his conducting career. He played violin through conservatory, and only started studying conducting when he was 20. That measured quality comes through when he’s on the podium, too. Morlot says he also feels strongly about the music he likes. “That period from 1880 to 1930, those 50 years seem to be what I feel closest to.” Brahms, Mahler, Stravinsky and Debussy were all active then, with the eruption of modern music beginning shortly after the turn of the century. “I love the colors in the orchestrations during that period of time. That group [says] everything that needs to be said in orchestral literature,” he asserts. Morlot may not have spent much time conducting symphony orchestras, but he has devoted a great deal of time to new music. He assisted in preparing the premiere at Tanglewood of Osvaldo Golijov’s opera Ainadamar, and led that by-all-accounts successful MusicNOW performance a year ago. This season he will lead the Ensemble Intercontemporain, founded by Pierre Boulez, further cementing a solid contemporary-music reputation. As sold as Morlot is on those 50 years of the symphonic repertoire, he’s also passionate about a handful of contemporary composers. 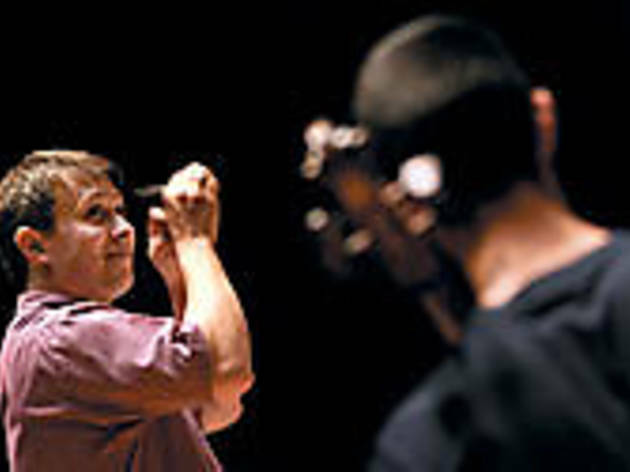 Despite working closely with Golijov, who’s a CSO composer-in-residence, Morlot has mixed feelings about him and says he’d rather listen to his music than perform it. “ I’m more challenged by the pieces by what I call the great masters—[György] Kurtág, [György] Ligeti and [Elliott] Carter,” he says. Morlot is too young to take on the CSO music director position, but the New York Philharmonic went out on a limb in the mid-’50s when it hired a brash young conductor. He was Leonard Bernstein, and he did fine. 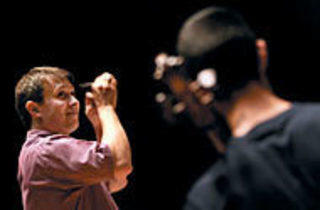 Morlot leads the Civic Orchestra Monday 5.